Nestled in the breath-taking beauty between Woodcrest Drive and Immokalee Road, you will find a community of resort-like luxury homes called LaMorada Naples. This 200 acre community near Calusa Pines Golf Club is unlike any you’ve seen. You will be amazed by the warm welcome of your new neighbors as they receive you into this close-knit community of masterfully designed luxury homes. WCI Communities has outdone themselves with this gorgeous community of sparkling lakes and majestic pines. If you are looking to buy a home in the Naples area, you will love the home options afforded by LaMorada. They include grand villas, carriage-style, classic single family and estate homes. Prices vary depending upon location, size and amenities, starting around $300,000 and climbing to over $1 million. LaMorada Naples is a great place to raise a family, with several excellent schools nearby, both public and private. Families will also enjoy knowing there are numerous parks, churches and healthcare providers in the area. You can spend your days enjoying the countless amenities provided to LaMorada residents, including access to a 10,300 square foot amenity center. Residents enjoy a fitness center, activity rooms, theater, outdoor dining area and places to gather with family and friends. The community is also equipt with a swimming pool, tennis and pickleball courts for hours of recreation and fun. LaMorada Naples is is also just minutes away from great shopping, fine dining restaurants and wineries. This spectacular community is also close to several breathtaking Gulf beaches, a plethora of arts and entertainment attractions and some of the golf world’s best fairways. This spectacular private, community of opulent luxury is truly a dream come true. 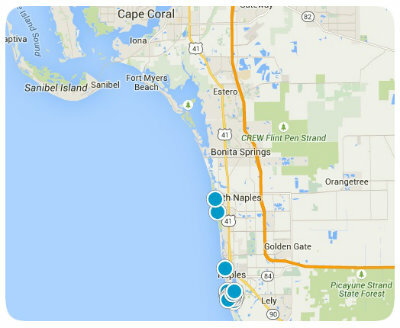 If you are looking to buy a home in Naples, Florida, you simply must consider LaMorada Naples. If you are interested in buying a home in LaMorada Naples or have other real estate questions please contact us today for more information.